One of the most important topics in math elementary school division of two-digit numbers. Usually this action is done by selection or in a column, if the job is written. In any case a good tool is the multiplication table. Are two-digit numbers from 10 to 99. 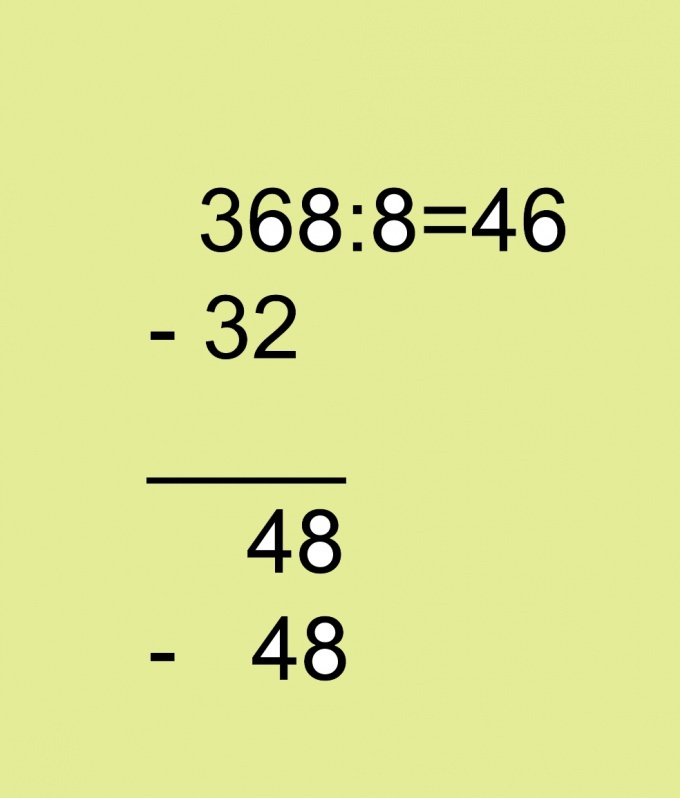 The division of these numbers to each other is included in the program of the third grade mathematics and has the highest complexity among the so-called unestablished actions on numbers. Before you learn to divide a two-digit number, you must explain to the child what the number represents amount of tens and ones. This will save it from future a pretty common error, which allowed many children. They start to divide first and second digits of dividend and divisor each other. To start work with the division of two-digit numbers in single digits. Best of all this technique is fulfilled using knowledge of multiplication tables. The more of these practices, the better. The skills of this division should be brought to automatism, then the child will be easier to move on to more complex subject of two-digit divisor, which, like the dividend represents the amount of tens and ones. 29 x 3 = 87 – correctly. Please note student on the second digit (units) dividend and divisor, which are easy to navigate when using the multiplication tables. For example, in the example the second digit of the divisor is 9. Think about how much you need to multiply the number 9 to the number of units of work was equal to 7? The answer in this case only one – 3. 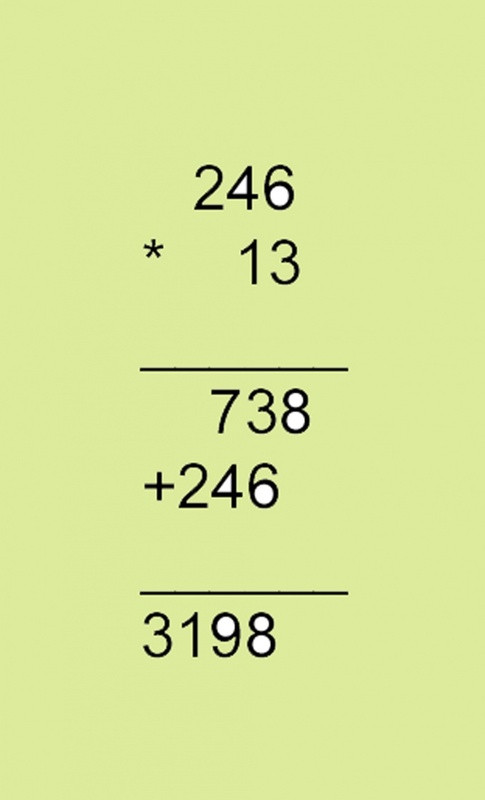 This greatly facilitates the task of two-digit division. Check your guess by multiplying the total number of 29. 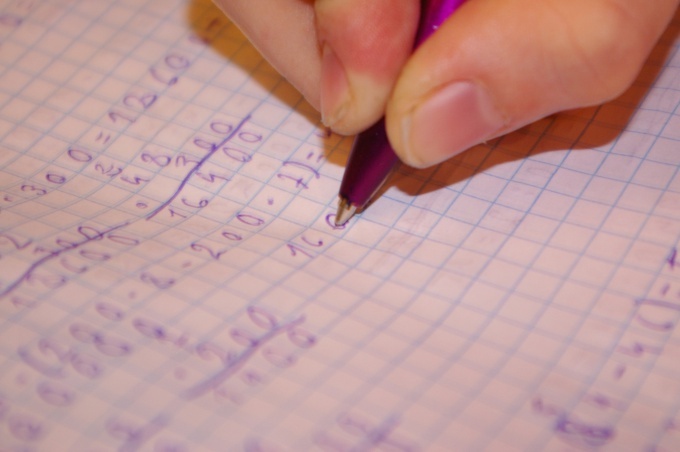 If the job is executed in writing, it is advisable to use the method of long division. This approach is similar to the previous except that the student does not need to keep the numbers in my head and make oral settlements. Better for written work the arm with a pencil or rough paper. In order to quickly solve the math problem, you must be able to consider not only using the calculator. In addition, it can at hand and not be and have to use traditional methods account. Start with addition. Then write down the numbers that need to be folded under each other, so that units come under units, tens under tens, hundreds under hundreds. Swipe under the lower number line. To fold start with the units, that is, with the latest figures. Less than ten instantly record under the units. If you add get a two-digit number, then the units record the number of units, and the tens — remember. Unable to be sure to write it down somewhere in a corner. Fold the tens. Add to the obtained sum, which you remembered after the addition of the units. Record exactly the same as in the previous step. If it is less than ten, then write all at once, and if more — the number of units and the number of tens remember. In the same way, add the hundreds and thousands. When you subtract the number recorded in the same way. Subtract the units. If the number of units in umanesimo more than visitama, "take" a dozen. That is, if you subtract 8 from 5, imagine that you are reading not of 5 and 15. Below the line write 7, but the number of tens is reduced by 1. Similarly alternately subtract tens and hundreds, not forgetting where and how much you "borrowed". 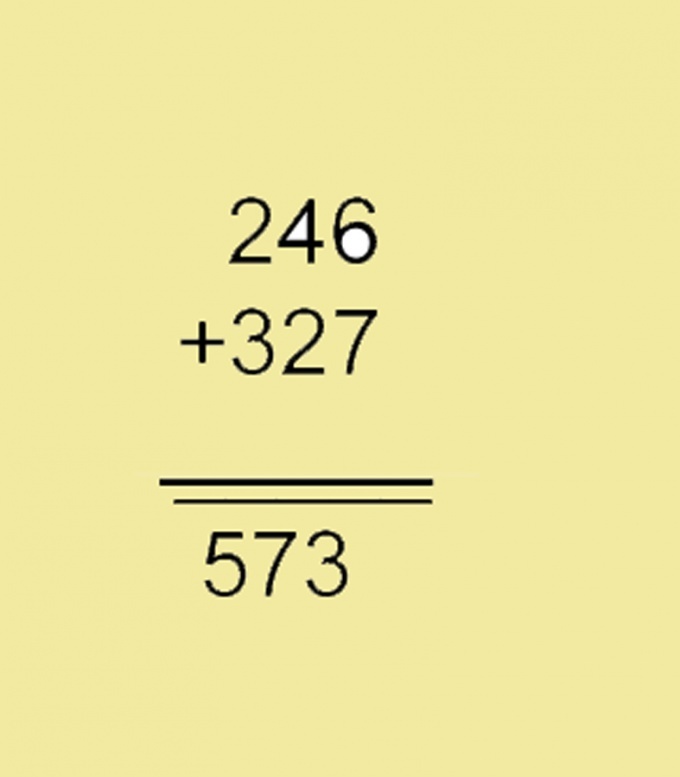 By multiplying the number of similarly written one below the other. If you decide an example, consisting of a multiple number in single digits, you first multiply it units, then the tens and subsequent discharges. If the multiplying units, you get a two-digit number, below the line, record the number of units of that number, and the number of tens remember and add after multiplication of the multiplier in tens. Exactly the same with all the other bits. When multiplying multi-digit numbers proceed sequentially. First multiply and write the result of multiplying the second multiplier by the number of units of the first multiplier. Write below the line result. Then multiply the second factor by tens of the first multiplier. Write the second result under the first, but don't forget that you have multiplied by the number of tens, and accordingly, the last digit of the result will be under tens. Similarly, multiply the second factor by the number of hundreds, thousands, and so on, following the order of recording. Under the last result, move the line and add up all the results. This will be the desired product. To divide one number by another, write the first number, put a division sign, then write the second number and the equal sign. Aside from the beginning of the dividend as many figures, how many of them in private, and see whether the dividend divided by the divisor and how many, approximately, it will turn out in the end. If the number is less than the divisor, put down another figure. Write down the first digit in the private result. Multiply this number by the divisor and the number under sample record, starting with the first digit. 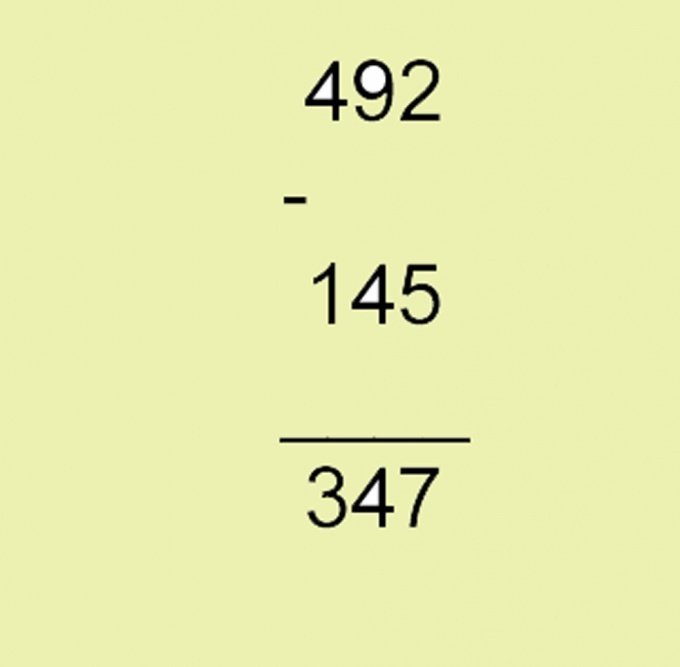 Between severable and the written number sign "-".Subtract the first digit of the dividend given number, move the line and write under it the result is, strictly observing the order. The number that you got below the line, add the next digit of the dividend. Divide the resulting number by the divisor, write the result response. Multiply this number by the divisor and subtract the result from the number of which is below the line. Do the same while not using the last digit of the dividend. 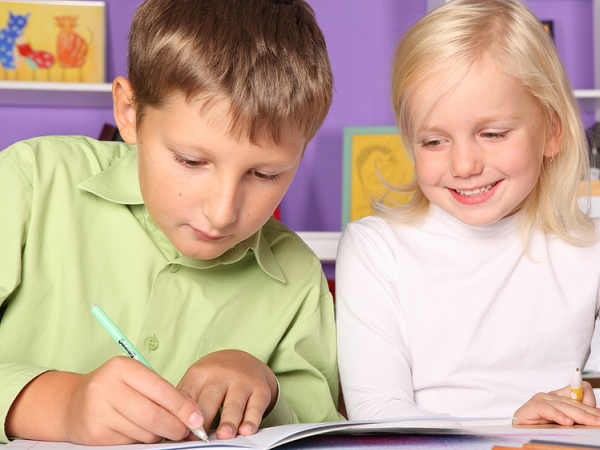 In order for your child can solve the math problems as quickly as possible, it is necessary that he not only knew the multiplication table, but was able to think fast. How to teach child to count in a column? Getting to the training, start with the basics - with additions. 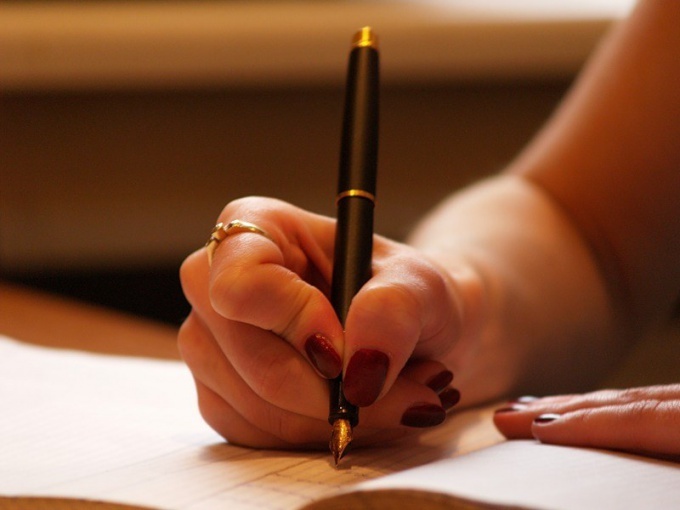 To do this, take a clean sheet of paper, a pen and ask the child to write the number that need to be put in the following way: units under units, tens under tens, hundreds under hundreds. Further, under the bottom number line guide. Explain that folding, starting with the last digits, that is, with units. When the amount is less than ten put down under the unit. If it turned out a two-digit number, then under the units record the number of units and the number of tens remember. Now add the tens and add the number which you remembered in the mind after the addition of the units. Tell us what hundreds and thousands of folding the same way. Performing operations with subtraction, explain that the numbers need to record exactly how and in addition. If when you subtract the number of units in umanesimo more than visitama, you need to "take" a dozen. Show that when multiplying multi-digit numbers in single digits first multiply ones, then tens and subsequent discharges. Multiply multi-digit numbers proceed sequentially. First, multiply the second factor by the number of units of the first multiplier and write the result below the line. Then multiply by the tens first multiplier and again record the result. Teach the child to carry out operations with the division. For this, write down the next number of the dividend with the divisor, and divide by the area and write the result underneath. Daily practice, that knowledge has evolved. But keep in mind that the lessons should not consist in the memorization, otherwise it will not give any positive results. Do not go from one operation of the account columnof ω to another. That is, until the child learns to put in a column, not move on to learning subtraction.